My wife and I cook pork loin or boneless pork chops fairly regularly, so the other day I went in search of a new recipe to change things up a bit. And what I found was a dry rub that involved coffee grounds, and which I had to adapt somewhat for the spices I had available. And just to spoil the surprise, we couldn't have been more pleased with the results. Ingredients - this will make enough for 2 pounds of meat, or maybe more depending how liberally you apply it. 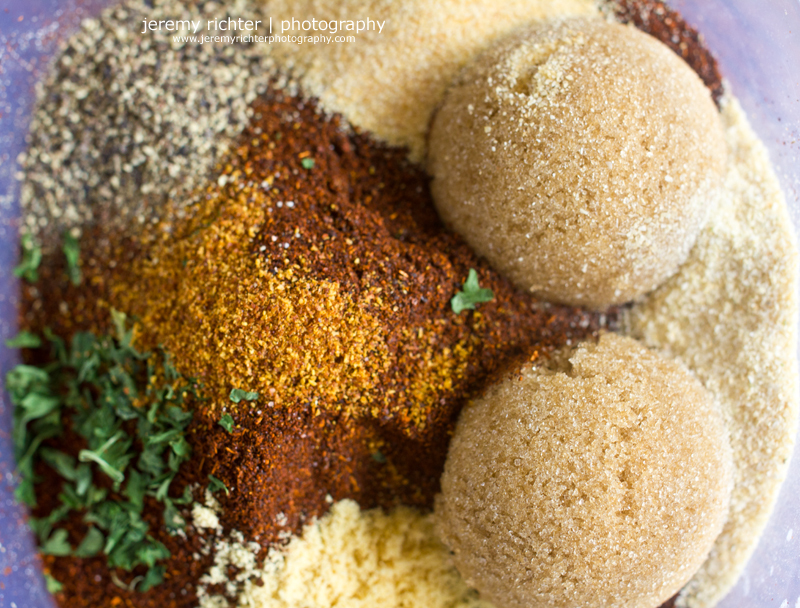 Mix your ingredients thoroughly, using a whisk or large fork, in a bowl large enough that you will be able to lay each chop (or loin) in the bowl and cover it with the rub. Although I found that the rub stuck to the meat well enough, some may want to use an egg wash or first dip it in milk to increase the stick-to-it-tiveness. 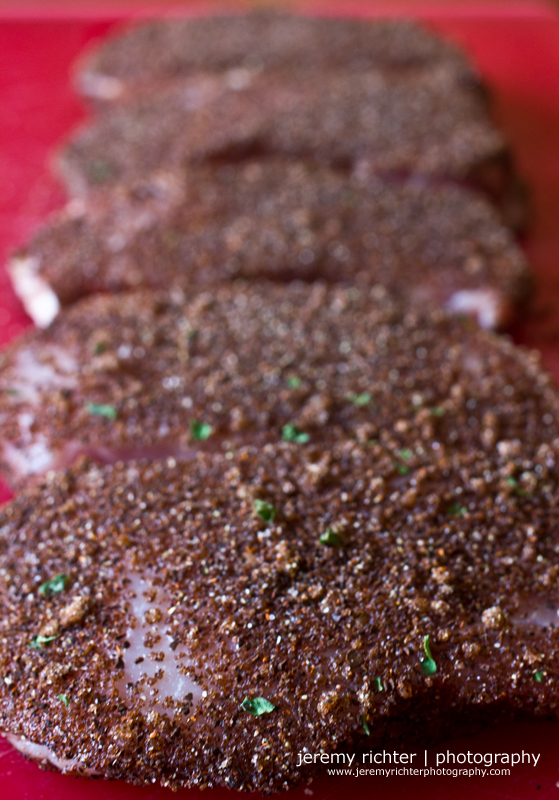 I prefer to apply the rub several hours before I'm going to cook it, so as to give it some time to marinate and absorb a little more of that flavor. 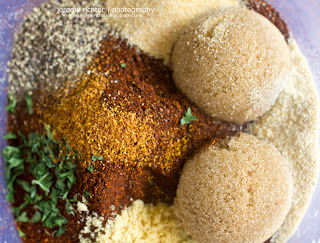 So apply the rub to both sides of the pork, put it in a suitable bag or container, and replace it in the refrigerator. If you're going to grill your pork chops or loin, several minutes before you're ready to put the meat on, turn the grill on a medium heat, so that the grill temperature will rise to about 500 degrees. Depending on your grill the thickness of your meat, the pork will likely need about 7 minutes on each side, though the second side may need less time. Hopefully, your results will be as tasty as mine.